We present an electrochemical DNA detection strategy based on self-assembled ferrocene-cored poly(amidoamine) dendrimers for the detection of a gene relevant to breast cancer. The chemisorption of three ferrocene-cored poly(amidoamine) generations and hybridization of single-stranded DNA on a Au electrode were studied by cyclic voltammetry and differential pulse voltammetry. 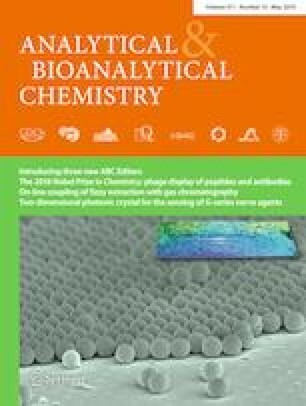 The biosensor demonstrated high sensitivity of 0.13 μA/(ng/ml) in the detection of the target DNA with a linear range of 1.3–20 nM and a detection limit of 0.38 nM. The DNA biosensor also has high selectivity for the target DNA, showing a clear signal difference from a noncomplementary sequence and a single-base-mismatch sequence, which was used as a model of BRAC1 gene mutation. The results shown are highly motivating for exploring DNA biosensing technology in the diagnosis of breast cancer caused by mutation of the BRAC1 gene. Some of this work was performed at the former Fatih University as a part of the work presented in FK’s master thesis. World Health Organization. Cancer. https://www.who.int/news-room/fact-sheets/detail/cancer (2018). Godet I, Gilkes DM. BRCA1 and BRCA2 mutations and treatment strategies for breast cancer. Integr Cancer Sci Ther. 2017;4(1). https://doi.org/10.15761/icst.1000228. 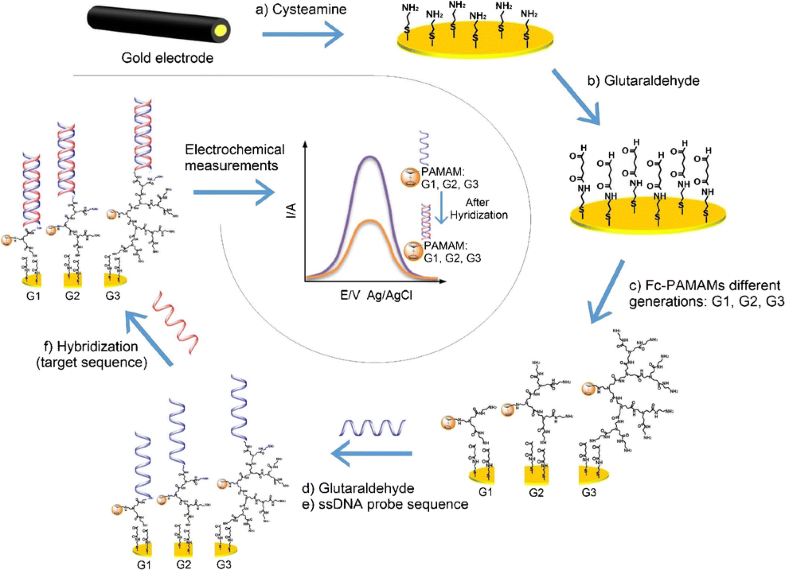 Zhu N, Gao H, Gu Y, Xu Q, He P, Fang Y. PAMAM dendrimer-enhanced DNA biosensors based on electrochemical impedance spectroscopy. Analyst. 2009;134(5):860-6. d https://doi.org/10.1039/B815488K.